Now that the Facebook Timeline is finally available for all users worldwide, we thought it was a good time to give you an introduction to the latest Facebook features if you haven’t seen them before. If you’re still not seeing the new Facebook Timeline, you should be able to activate it here. While a gradual rollout was expected, it seems that it has already been made available to all users worldwide. We’ve already told you that you can now change the dates on your Facebook photos so that they fit right into your Timeline in chronological order, but what else can you do with it? Check out the guide below. The first thing anyone sees when they visit your Facebook profile is your cover, or in other words, a nice large photo at the top of the page. This is a feature we’ve seen in Path as well, and it’s a great way to add a little bit of personality to your page. This of course does away with all the creative ways users had come up with to jazz up their Facebook profiles, but we can imagine that it will only be a matter of time before just as creative hacks are hitting the Facebook Timeline. 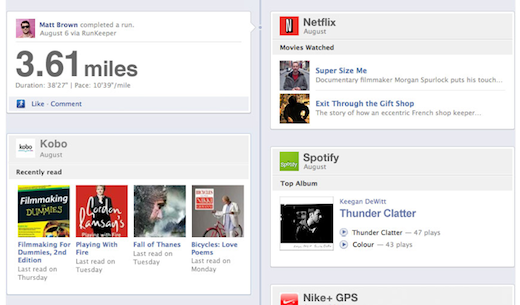 The Facebook layout has completely changed now, and it might take a little getting used to. Underneath your profile and cover photos is where any information you’ve entered about yourself will be featured. It will include your job, education, your relationship status, where you live, and where you’re from – basically it’s a tiny bio that friends will get to see at first glance. Right next to that, your friends, photos, places you’ve checked in and likes will be listed. With Facebook purchasing Gowalla, we can imagine the check-in feature is going to be getting a lot more attention than it did in the Facebook wall. The status update box sits at the top of your Timeline, where you can share links, photos and thoughts easily with your friends. When visiting a friend’s page, it will be replaced with a box where you can post photos and text to their Timelines. 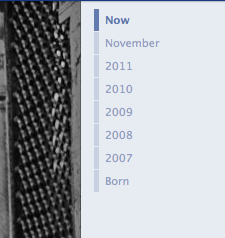 Rather than a linear profile, your updates and posts to your wall will now be featured in a two column grid. Your Facebook content is far more organized, but at the same time, depending on your privacy settings, makes it a whole lot easier for your friends to know exactly what you’re up to on Facebook. The grid features a box dedicated to all of your Facebook activity – likes, comments, changes you make to your profile etc. Of course these items will only show up in your Activity box if you share them publicly in the first place. The rest of the timeline will be taken up with your updates, posts your friends have shared directly with you, photos you’ve been tagged in, content from third party apps – in other words – everything else that used to appear on your wall. Now, however, it’s all neatly squared away in individual little boxes. The whole point of Facebook’s Timeline is that it instantly becomes an online, electronic diary, and depending on how you’ve used Facebook in the past, it could be documenting a ton of information about you. This is, of course, a double-edged sword. It’s actually quite sobering when you use the date filter to see how much information you’ve shared from month to month on Facebook. On the one hand, it’s great to see your life documented, to see your memories, things you’ve done, photos you’ve shared, and it makes it easy to take a quick walk down memory lane. On the other hand, the sobering part of it is realising that you’ve been sharing all of this information with a third party. Posts can be filtered and viewed by entire years, or by individual months. Facebook is pretty notorious for constantly changing its privacy settings, and in the process, confusing many of its users. With the Timeline, you have complete control over who sees what and when. First, if you want to check out how someone else sees your Facebook profile, you can still do that. Simply click on the Settings button at the top of your Timeline, select ‘View as…’ and type in the name of the friend. When it comes to deciding who gets to see what, you can choose to review all tagged content before it appears on your Timeline. In your Privacy Settings, select ‘How Tags Work’, and from there you can choose to review tagged photos and posts before they show up on your Timeline, so you can always be sure to keep those embarrassing photos out of your friends’ news feeds. A setting that is new to Facebook’s Timeline is the ability to feature posts, similar to the WordPress Sticky Post setting. You can select any post, whether one of your own or one that has been shared by someone else, and have it featured at the top of your page, much like you would on a blog. This is a great way to ensure that the first thing people see is exactly what you want them to. 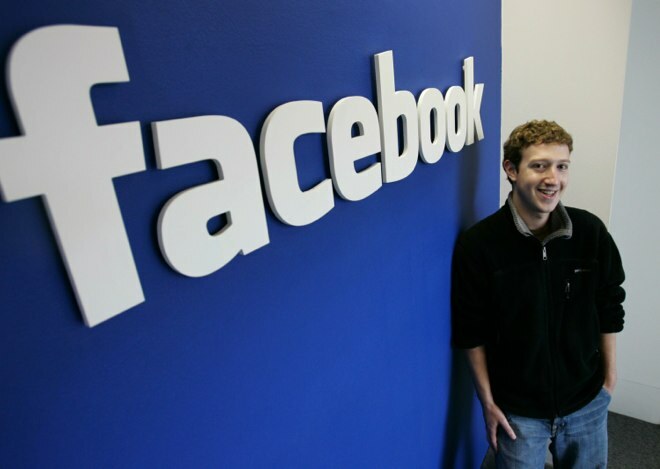 Have you come up with any tips and tricks on how to use the new Facebook Timeline? Let us know in the comments, and be sure to check out our previous coverage on Facebook’s Timeline here and here.